GPEA (US Legislation) GPEA seeks to "preclude agencies or courts from systematically treating electronic documents and signatures less favorably than their paper counterparts", so that citizens can interact with the Federal government electronically (S. Rep. 105-335). The Government Paperwork Elimination Act (GPEA, P.L. 105-277) requires that, when practicable, Federal agencies use electronic forms, electronic filing, and electronic signatures to conduct official business with the public. In doing this, agencies will create records with business, legal and, in some cases, historical value. GPEA focuses on records management issues involving records that have been created using electronic signature technology. It also addresses the matter of private employers being able to use electronic means to store, and file with Federal agencies, information pertaining to their employees. GPEA states that electronic records and their related electronic signatures are not to be denied legal effect, validity, or enforceability merely because they are in electronic form. It also encourages Federal government use of a range of electronic signature alternatives. E-Lock Digital Signature solutions are compliant with the GPEA. Making it possible for the government agencies to eliminate paper from their processes making them completely paperless and secure. E-Lock�s modular approach helps the organizations to integrate the digital signature and easy to use encryption/decryption solutions in their present applications like e-governance, e-tendering, e-bidding, document management system,e-authentication etc making the verification and authentication process automated and maintaining the confidentiality and security at the same time. On June 30, 2000, Congress enacted the Electronic Signatures in Global and National Commerce Act (�ESIGN� or �the Act�), to facilitate the use of electronic records and signatures in interstate and foreign commerce by ensuring the validity and legal effect of contracts entered into electronically. The provision in the E-Sign act facilitates e-commerce and the use of electronic records and signatures while enhancing consumer confidence. It preserves the right of consumers to receive written information required by state and federal law. The provision also discourages deception and fraud by those who might fail to provide consumers with information the law requires that they receive. The digital signature solution developed by E-Lock was used by former US President Bill Clinton to digitally sign this US E-Sign Act that legalizes digital signatures. The E-Sign Act is a nationwide standard that gives digital signatures the same legal force as signatures written in ink. 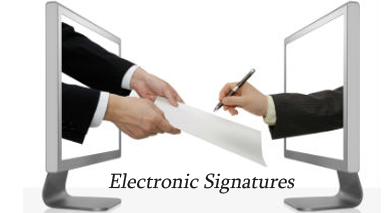 By making electronic signatures legally binding, ESign enables consumers, enterprises and government organizations to use the Internet to engage in transactions and business processes that require a personal signature. Enables use of electronic records and signatures wherever electronic documents and signatures are used for legal purposes. Enables electronic transmission of disclosures required by Government, subject to appropriate consent from recipient. Any record may be retained electronically as long as it is required and as long as it remains accurate and accessible to all entitled parties. Enables for the use of an electronic signature for notarization. Enables use of electronic promissory note for the purpose of a real estate loan. E-Lock Digital Signature product and online form signing solutions are compliant with the E-Sign. E-lock provides the Digital Signature solution, which can sign the documents or files of any format, online forms etc making the processes paperless. The solutions can be integrated with e-governance, e bidding, e-tendering, e-authentication, e-banking, e-security and document management application without disturbing the workflow making them secure, efficient and cost effective. The Uniform Electronic Transactions Act (UETA) provides a legal framework for electronic transactions. The main purpose of UETA is to bring into line the differing State laws over such areas as retention of paper records and the validity of electronic signatures. It gives electronic signatures and records the same validity and enforceability as manual signatures and paper-based transactions. The National Conference of Commissioners on Uniform State Laws (NCCUSL) adopted this model act in 1999. UETA has provisions similar to the ESIGN Act. European Union (EU) law is the unique legal system which operates alongside the laws of Member States of the European Union (EU). EU law has direct effect within the legal systems of its Member States, and overrides national law in many areas. As on 2007, there are around 500 million EU citizens in 27 Member States subject to EU law, making it one of the most encompassing, yet bureaucratic, modern legal systems in the world. EU DIRECTIVE 1999/93/EC talks about use of Electronic signatures and legal aspects involved. 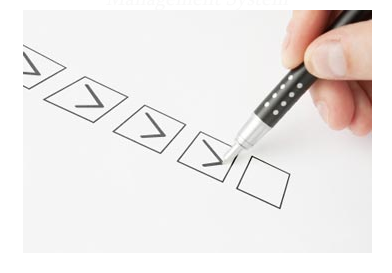 It states that Electronic signature products should be promoted. E-Lock digital signature solutions comply with the above-mentioned definition.